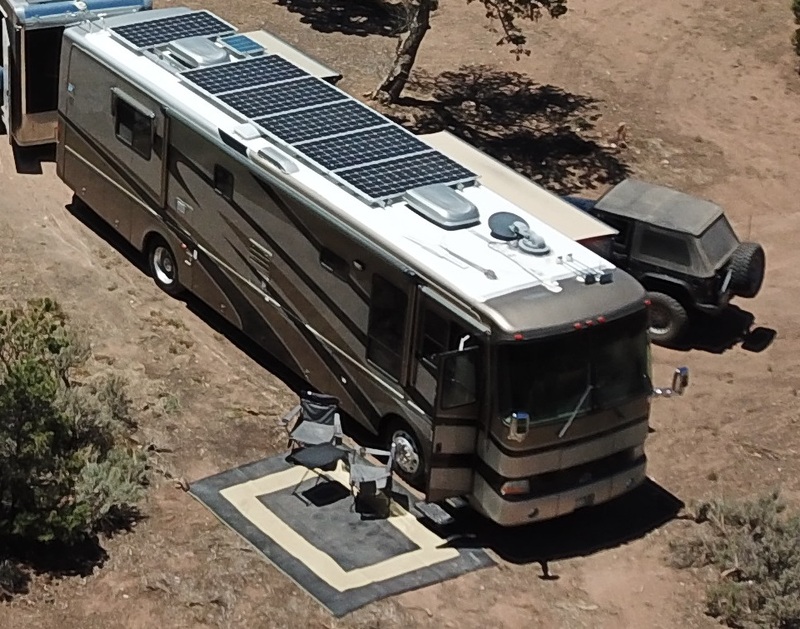 100% Off-Grid – RV Solar to the Max! RV Solar to the Max! Who needs a power cord? 4500 Watt Solar panels, 25 kWh Battery. 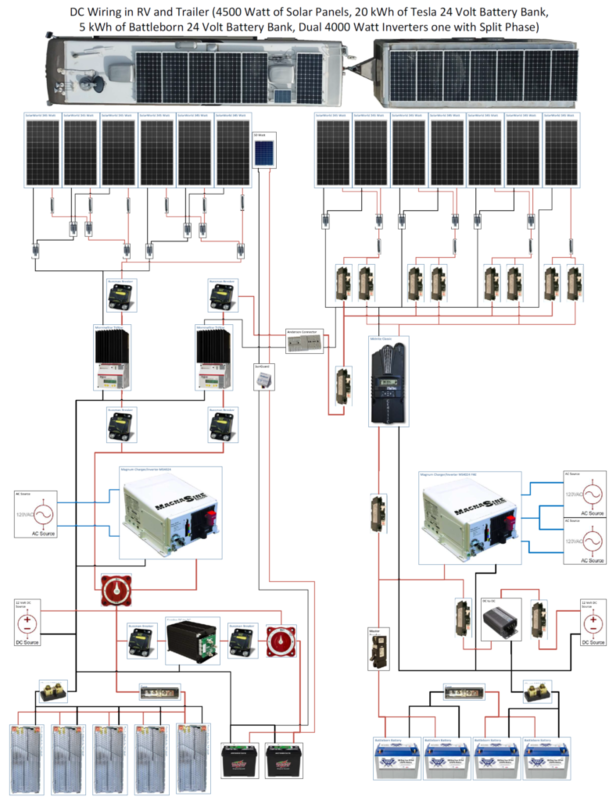 2000+ Watt of Solar Panels, 4000 Watt Inverter, 5 Tesla Modules, 20 kWh of battery storage. 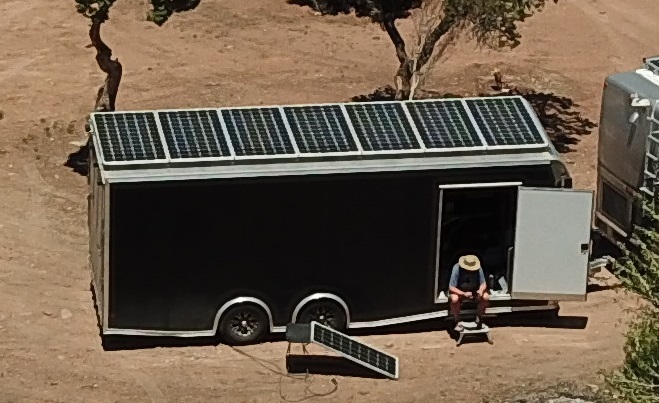 2400+ Watt of Solar Panels, 4000 Watt Inverter, 4 Battleborn batteries, 5 kWh of storage. 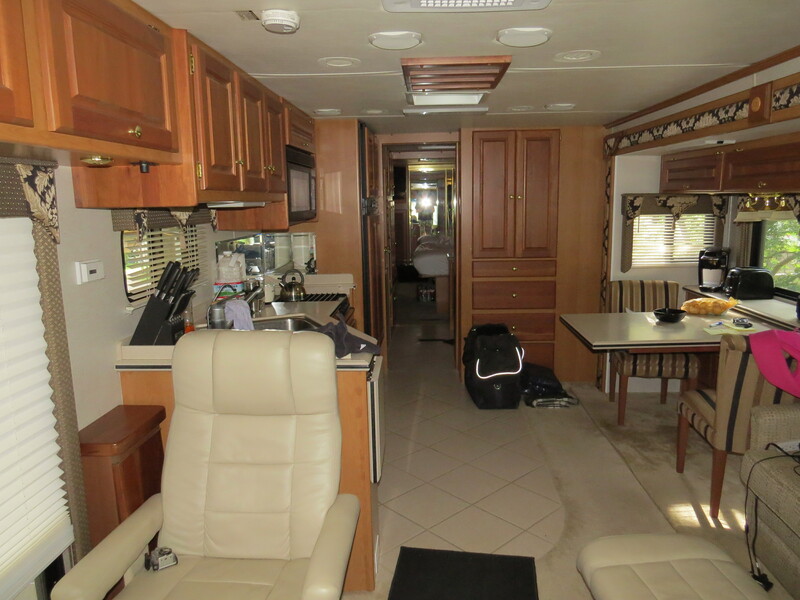 We have been working to make the RV our own and upgrading for higher efficiency. With the upgrades, we have done is Air Condition, Microwave Oven, Water Heater and even Electric Heating possible. Switching from a 12 Volt to a 24 Volt House Battery system is key to running higher 120 Volt AC loads. The Tesla Model S/X Lithium battery modules are the densest available (in weight and volume), one module replacing 6-8 Lead-Acids or 3-4 Battleborn batteries. With the 5 Tesla modules, we have is ~20 kWh useful storage available, that would have been 2000+ pounds of Lead Acid batteries, but only weigh 300 pounds. Having a large battery system is essential to run the RV overnight and allow large loads, but recharging is important too. Our Solar Array uses 13 SolarWorld 345 Watt panels. In the summer can it produce more than 30 kWh in a day and the shortest day in winter 10 kWh. The design of the Solar Array is key to being 100% off-grid.